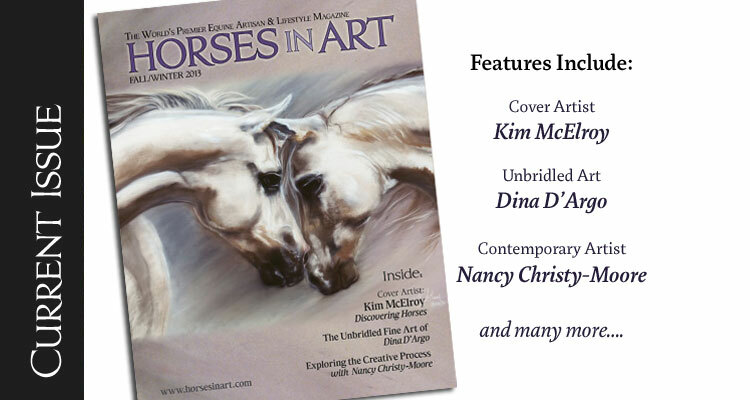 Every issue features artists from all over the globe. 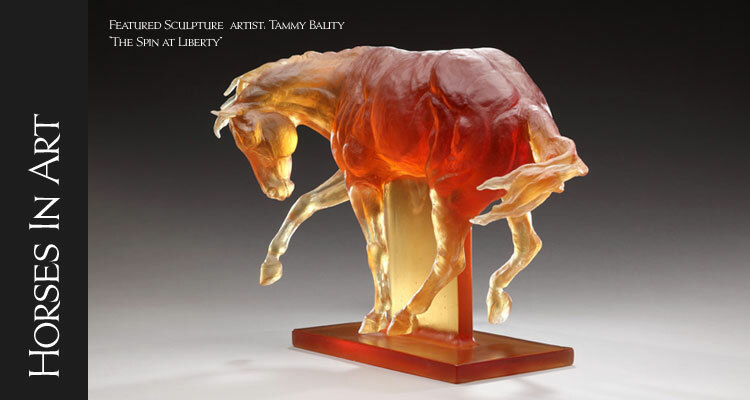 These artists dream in metals, compose in precious gems, and sing to the canvas of the majesty of the horse. Share your opus with the world! We accept submissions for any medium in celebration of the horse. Click the link below for more information on how to send us a submission. 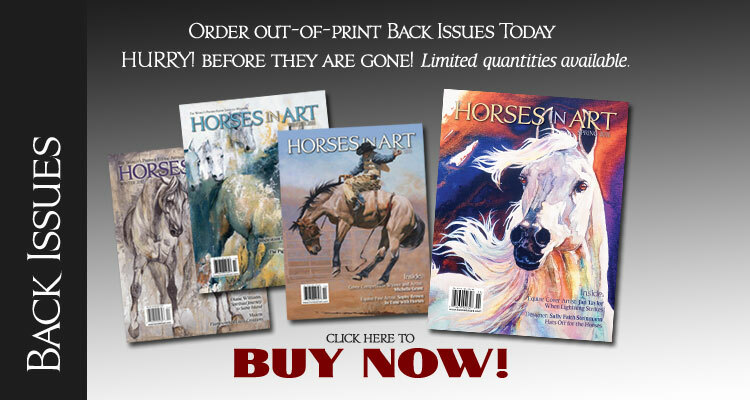 Horses in Art offers back issues at discounted prices for those unlucky enough to miss them the first time around. These issues are no longer in print and are limited in supply. 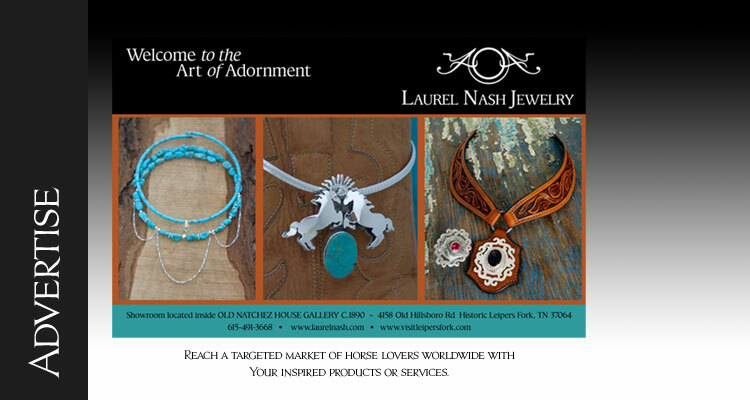 Opportunities abound to spread word of your product throughout the world! With packages for every budget and optional graphic design work, it is simple and rewarding to spread the word. 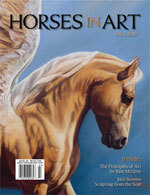 As of the Spring/Summer Issue of 2014, Horses in Art no longer has the budget to keep the stable doors open. 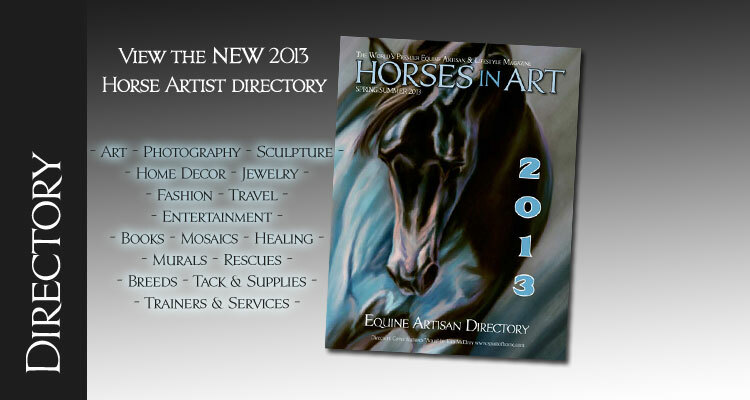 It has been a pleasure serving the equine and artist communities over the years. We apologize if this causes any inconvenience. for just $38.95 while supplies last! Hurry! Before they are gone!